#68 Are you Staying True to your Brand? 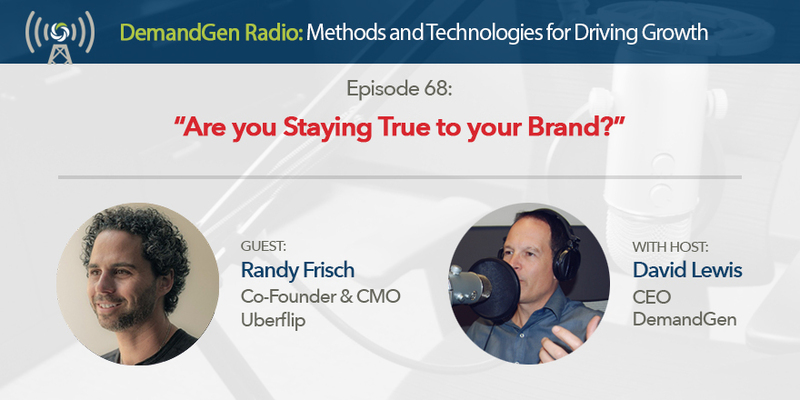 As Co-Founder, CMO & President of Uberflip, Randy Frisch knows how to position a company to meet the needs of clients and customers. In this episode, Randy shares his struggle of whether or not to continue to establish “Content Experience” as a category within marketing, or to position Uberflip alongside more familiar topics, such as ABM or demand generation. Every company must undergo repositioning at some point in order to stay relevant and provide great customer experiences. Listen as Randy and I outline how to properly reposition yourself while staying true to your vision.